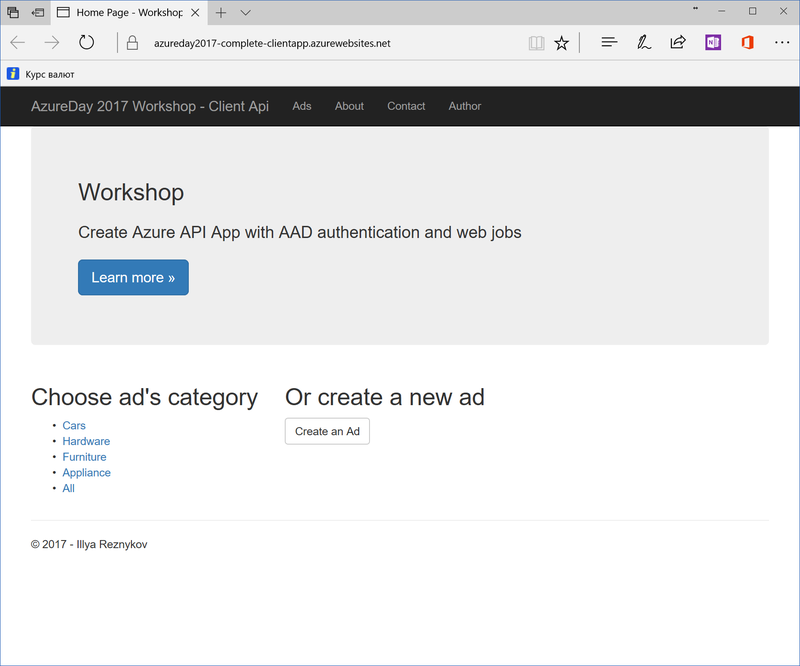 The tutorial describes how to use and secure Data API App in Azure environment with AAD authentication. Architecture of the tutorial application could be easily extended to real life project. Data source(s) are encapsulated by API app that provides REST service, secured by AAD authentication. 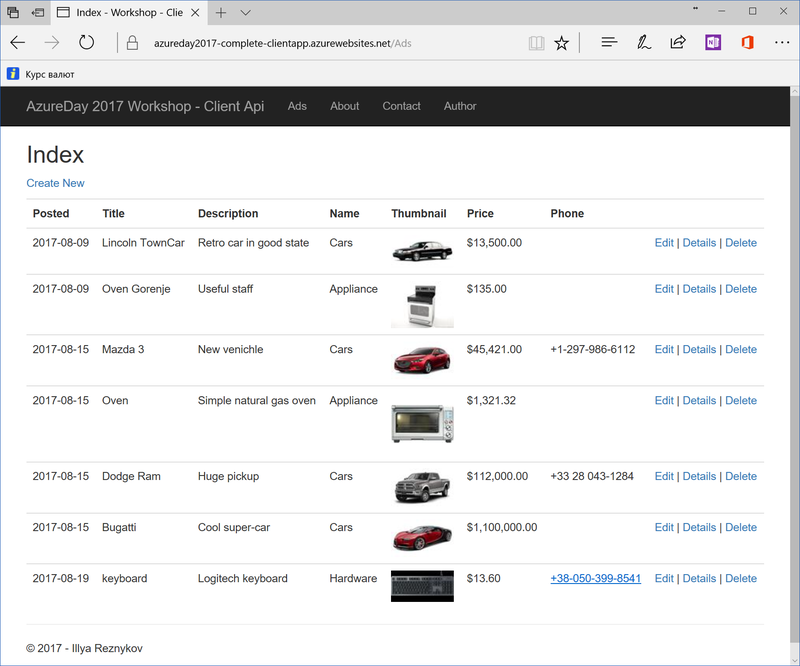 It allows access via AAD applications only for inner services, like own web applications or web jobs. 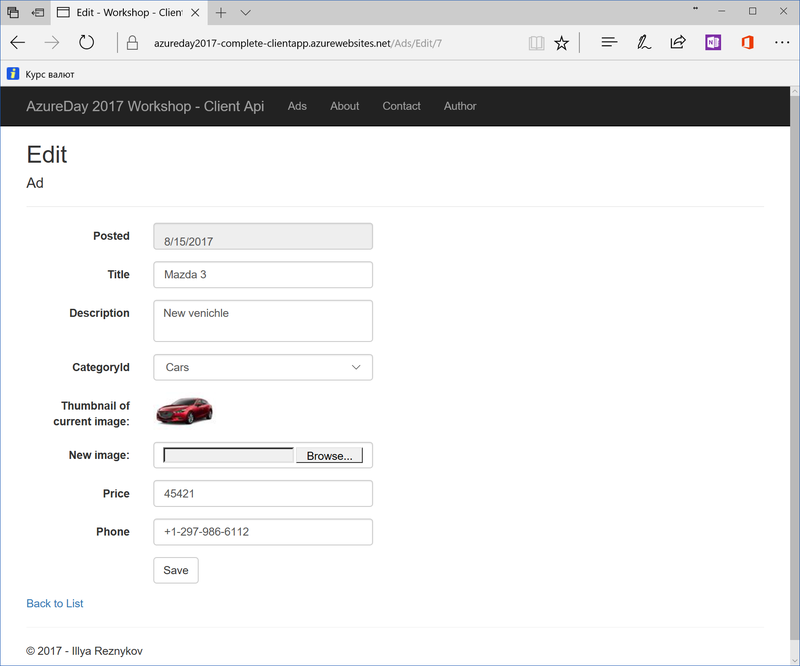 Tutorial application is a simple Asp.Net MVC application that allows view, create and edit ads with images. 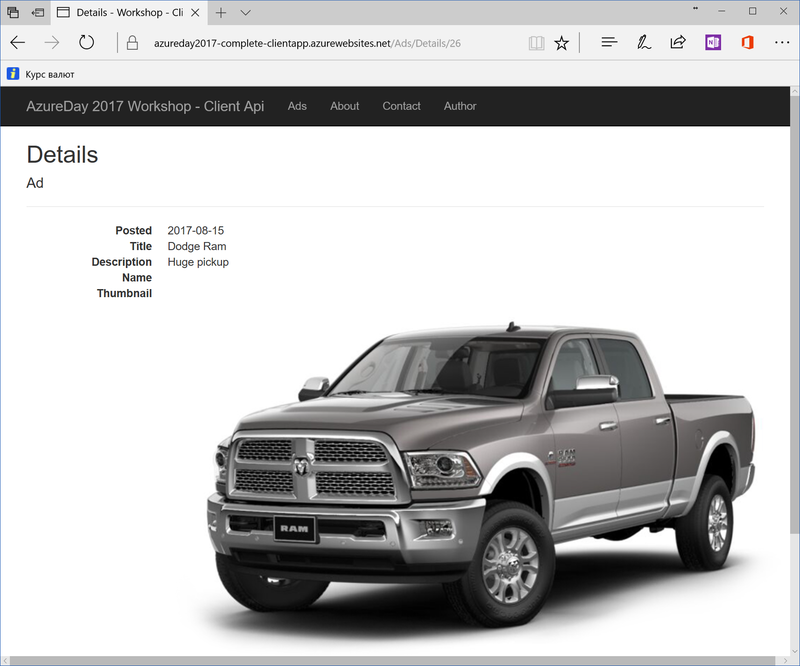 Data API app provides REST API with CRUD methods and runs webjob that resizes images to thumbnails. Images are stored in Azure blob storage and Azure queue is used to send messages concerning those images that require to create thumbnails. Two scenarios are considered: the first one is the implementation of tutorial application without authentication, and second describes the using of AAD authentication to secure Data API app with webjobs. 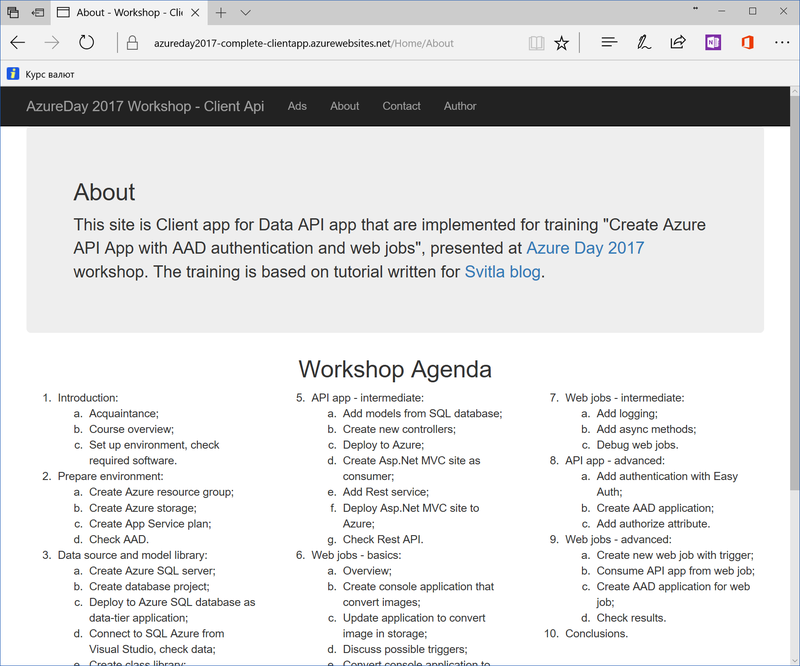 This tutorial is used for the workshop on conference AzureDay 2017, which will be held in Kyiv, Ukraine, at 8-9th of September 2017. ResizeImageEx – webjob extends ResizeImage webjob, and contains new function that logs poison queue messages and timer triggered function that update failed images. In addition, this webjob has logging, asynchronous methods and timer triggers. Application code is accessible on GitHub Tutorials repository. It contains several folders: “Complete” contains complete code of tutorial application, and others like “Step 01”, “Step 02”, and so on contain code that is the result of corresponding step of tutorial. 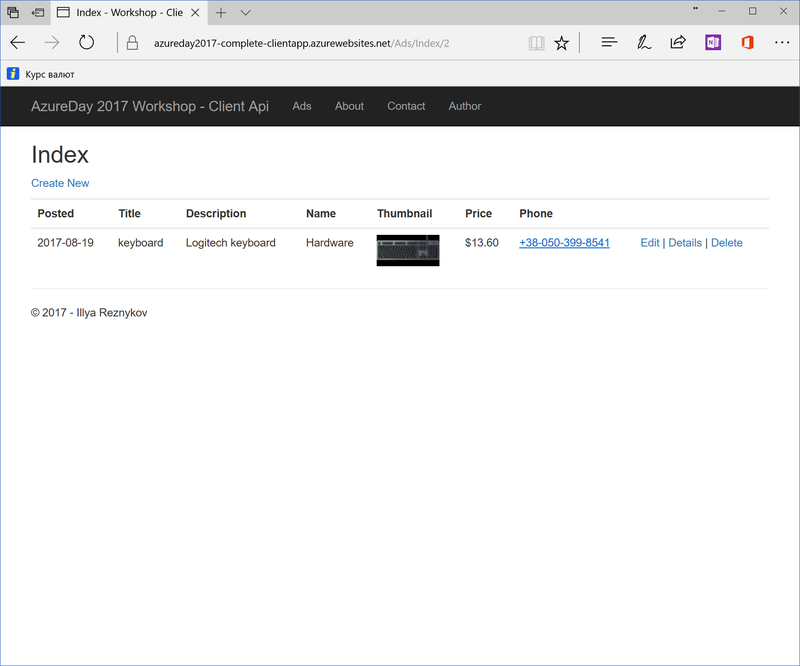 In addition, application is deployed to Azure. Let me note that web application is used primarily to consume Data API App, so it is as simple as possible and doesn’t have good performance.